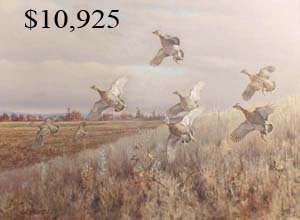 The sale grossed $1.9 million with 34 lots selling for over $10,000 and 2 lots selling for over $100,000. 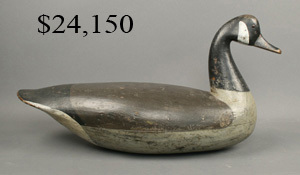 As was the case in their April and July 2008 auctions, prices were strong. 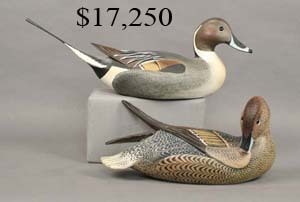 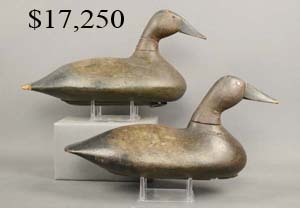 Top lot in the sale was a pintail hen found in Kankakee, Illinois. 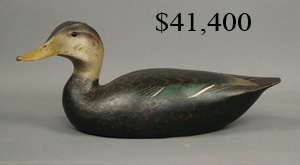 It sold for $142,500, which was around 4 times its presale estimate. 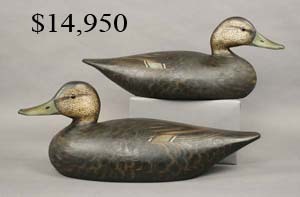 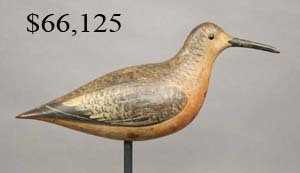 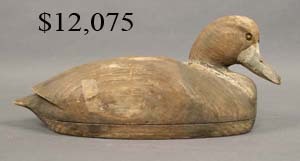 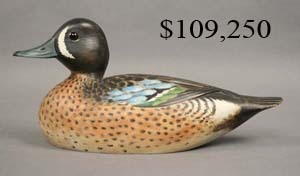 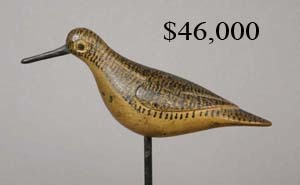 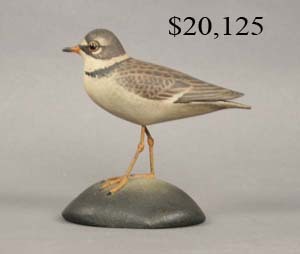 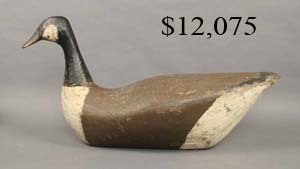 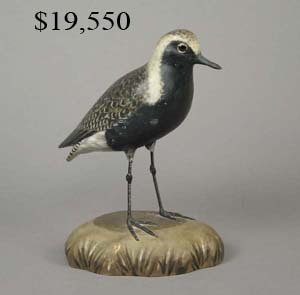 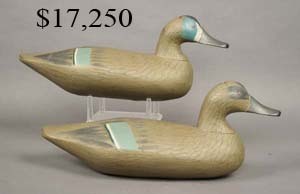 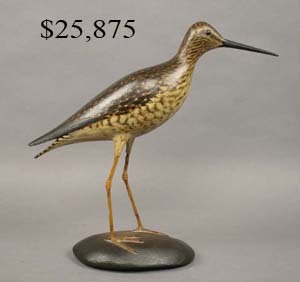 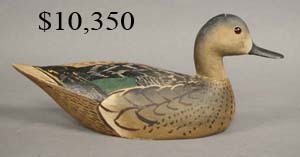 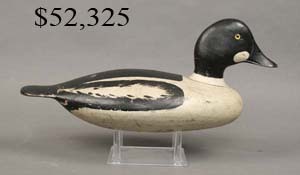 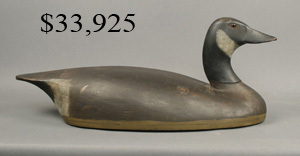 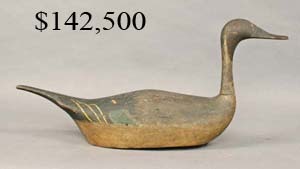 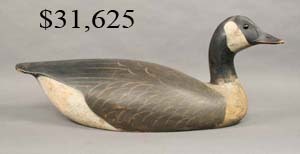 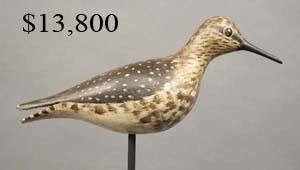 An Elmer Crowell (East Harwich, MA) bluewing teal decoy sold over its high estimate at $109.250, as did a John Dilley (Long Island, NY) dowitcher at $66,125. 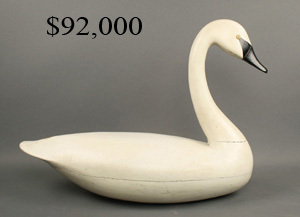 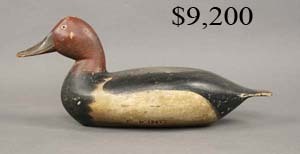 A Charles Birch (Willis Wharf, VA) swan consigned by the Maryland Historical Society sold at mid estimate at $92,000. 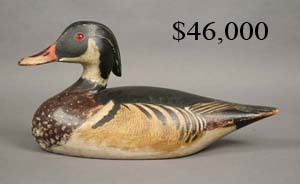 The auction was accompanied by a 50 table decoy show with decoy dealers from all over the US. 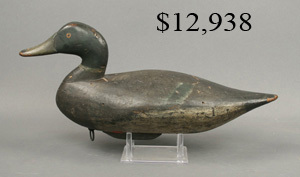 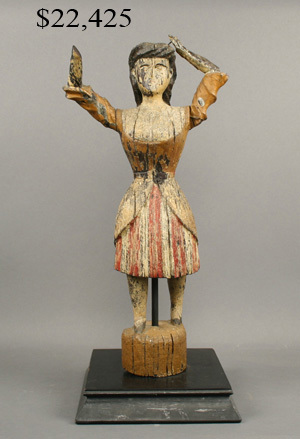 Masthead figure from the Maryland schooner "Mattie Dean"